There’s a lot more to moving house than just relocating yourself, your family and all of your possessions. From your family and friends to your bank and internet service provider, you’ll need to notify a wide range of people about your new address. No matter how organised you are, it’s easy to forget one or two essential people and end up with a stressful situation post-move. To help make moving easier, we’ve put together a list of more than 15 different companies to notify when you move house. From gas supplies to your telephone, life without basic utilities and services can be difficult. Alert all of your utility suppliers and service providers at least two weeks before you move so that they can update your account and relocate your service. Notify your electricity company at least two weeks before you move so that they can update your address and account. Your energy provider may need to read the meter before your account can be updated to match your new address. Notify your gas supplier at least two weeks before you move, if possible. Much like your energy supplier, the gas supplier may need to visit your property before your account can be updated. Contact your water company before you move to inform them of your new address and allow them to update your account. Just like with electricity and gas, it’s best to contact your water supplier at least two weeks before you move. You’ll need to notify the Post Office to your new address before you move. The Post Office has a mail redirection service that allows you to direct mail to your new home as soon as you move. You can apply for this service online up to 10 days in advance. The guy that we bought the house from finally did a change of address form with the post office… 2.5 months later. Contact your landline phone and Internet suppliers before you move. If your new home doesn’t have an existing connection, it could take several weeks (and a visit from an engineer) to connect the property to the Internet. If you subscribe to cable or satellite TV, you’ll need to notify your supplier at least two weeks before moving. You will also need to move your TV license – this can be done online at the TV Licensing website. 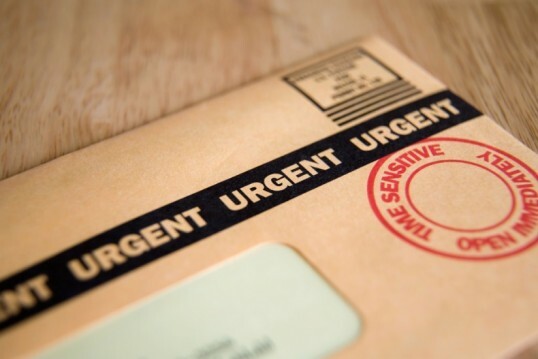 From your bank to your insurance provider, it’s important that you notify any of the companies that you have a financial relationship with before you move so your mail doesn’t end up at the wrong address. Contact your bank at least two weeks before moving to notify them of your new mail address. Moving is also a good opportunity to move your account to a branch that’s located closer to your home. Contact your credit card provider and notify them that you’re moving so that your statement is sent to the right address. If your card has a safety measure that needs you to receive mail, make sure your security address is also updated. If you have stored value cards for retailers and grocery stores, call them and update you address to make sure your catalogues are sent to your new home. Make sure to notify any companies that you have loyalty cards with about your new address. Do you shop online? Make sure you update your delivery address for Amazon and other online retailers before you order anything to your new home. Notify any of your magazine and newspaper subscriptions at the same time. If you’ve bought any items on hire purchase, you’ll need to notify the companies to your new address. You will also need to notify loan providers to your new address so that they know how to contact you if required. You will need to notify your employer of your new address before you move so that they can update your payment and contact information. Make sure you notify your employer at least two weeks in advance of moving to give them adequate notice. You will need to notify the local authority in your new address and your old address so that your council tax is paid properly. Your local Post Office can provide contact information for your local council authority. You will need to let HMRC know that you have changed address as soon as possible. HMRC offers an online form that updates your records for income tax, tax credits, the Child Benefit, Child National Trust and National Insurance. You’ll need to contact the Pension Service to update your address and continue to receive the State Pension. This is easy to do online. If you have a private pension scheme, you’ll need to contact your pension provider and change your address. Before you move, notify all of your insurance providers – from medical insurance to home, auto and life insurance – that you’re moving. Make sure you also inform your local doctor and dentist that you’ve changed your address. If you have a family solicitor, contact them before you move to let them know your new address. If you’re self-employed or have a personal accountant, contact them and inform them of your new address as soon as possible. If you’re on the Electoral Register, you’ll need to update your information in order to vote in local, general and EU elections. To change your address, re-register to vote at the UK government website. You’ll need to update your driving license shortly after moving. Use this online form to complete the change of address process for your driving license in Britain, or this online instruction sheet in Northern Ireland. Are you ready to move house? Moving house is complicated and time consuming, especially when you have a wide range of people, companies and government departments to contact. Set aside a few hours before you move and go through the above list over a morning or afternoon. Notifying your employer, bank, insurance company and other important people in advance saves you the task of managing everything after you move, giving you a far simpler, less stressful moving day.